Horizon follows the story of Richard Gray and his remarkable recovery from a life-changing catastrophic stroke. The film shows the rarely seen journey back to recovery. Recorded by his documentary film-maker wife Fiona (Masters student in International Relations at Selwyn College) over four years, this film shows the hard work of recovery. The story also features poignant footage delivered in a series of flashbacks, in which we see and hear Richard at his professional best. He was a peacekeeper with the United Nations, immersed in the brutal war in Sarajevo, Bosnia. 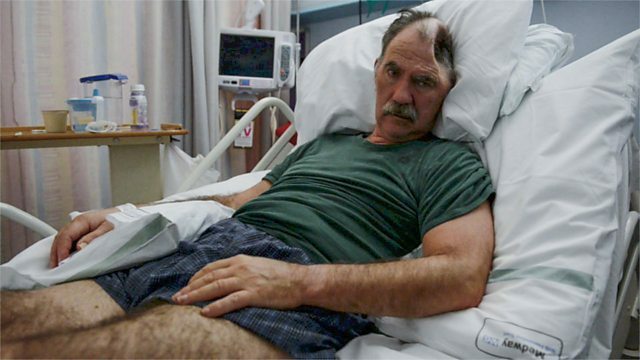 We also hear from the surgeons and clinicians who were integral to Richard's remarkable recovery, from describing life-saving, high-risk reconstructive surgery to intensive rehabilitation programmes that push the former soldier to his limits. As the film starts, Fiona asks 'will Richard, my Richard still be there?' By the end the answer is clear.